Every person growing old faces aging concerns of health care, daily living help, driving, staying connected, and becoming frail. We look for ways that help with independence, dignity, and choice -- and mostly to age the way we want to. Older Americans can vigorously promote and push for a better system of supports. And each of us need a plan to age, one that focuses on living fully. I attended Seniors Day at the State Capital in Texas on Tuesday and met with select legislature to speak about our needs. There were a lot of folks 55 and over, and they came with their agendas for change. It encourages me to see people become active and to voice concerns. It surprised me to learn the Senate staff truly do have our back. To express your needs, call the local representative and learn when Seniors Day comes to your state capital. An ideal resource includes intergenerational companionship and co-op choices so people of different ages can enjoy and help each other, BodyAwareGrieving.com. Check with local department on aging and ask for a copy of the city's Senior Resource book. In my area, it's a printed magazine called All About Seniors, and it lists providers. 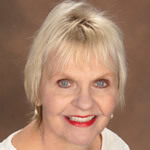 Check out: http://www.allaboutseniors.org, TheAgingExperience.com. Medicare Information (Medigap), Long-term care insurance, caregivers, nursing home directory, leisure activities, and private & government support. Private entities deliver additional options for better aging. FreeMedSuppQuotes.com. Check out local programs that cater to seniors. Your city hall has a parks and recreation office and usually offer activities, transportation services, health care venues, volunteer, and fitness programs. ALTCP.org. Access and use United Way's 2-1-1 via phone. Visit the local Area Agency on Aging to learn how to "Compare and Contrast Medicare & Medicaid." The triple AAA has resources and can explain and help navigate complex scenarios. NavigateNC.com. Personal care training for family caregivers is found in your community. Too often people are thrust into a caregiving situation and do not know where to start. Look to caregiver support groups at local libraries, city hall, and the Area Agency on Aging. CaregiverSupportServices.org. Make a list to include contact information, contact names, phone, and services for senior housing, financial planning, emergency food and shelter resources, free and low-cost health services, technology training and general outreach like 2-1-1. AdviseandProtect.com. Meal delivery options, house cleaners, home maintenance, pharmacies, transportation - everyday needs. The best resource list would be an assessment--different areas of need and who/what can help along the way. EasyLivingFL.com.